Are you searching for a power washing company to clean your home or commercial property? With so many things to consider, hiring a company for power washing can be overwhelming. 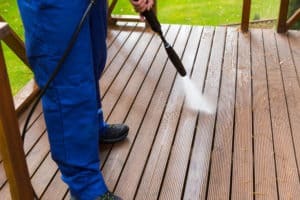 Many people have no idea about power washing until they need to hire a company. That’s why we’ve put together this quick guide to help you choose the right power washing professionals for your needs. When looking for a company to hire, many people look at the cost of the service. They quickly identify the cheapest option and go with that one. However, it’s important to keep in mind that you get what you pay for. If a company is charging lower prices than others, there’s probably a reason. Before you choose the cheapest company make sure you check that they are a professional company that provides quality power washing services. Many companies charge less but then offset the loss they have made by cutting corners. Although the cost of the service is an important point, consider other things as well. It’s important to choose a company that will be honest and professional. This means that if something goes wrong with the service, they will compensate you appropriately. When you request an estimate for the work, make sure the guarantee is written into the agreement. This way, if they don’t do a good job, they won’t run off with your money. Many people simply choose the first company they find. However, it’s important to shop around to make sure you get the best deal. If a company provides you with an estimate without visiting your home, you shouldn’t trust them. They shouldn’t charge for an estimate either. Instead, they estimates should be completely free. By asking for an estimate, you can check out the company yourself without any cost to you. You can then decide whether they are professional and experienced enough to hire. Before you hire a company, make sure they have insurance. Accidents happen. If something goes wrong, then you need to make sure that the insurance company will compensate you. You can verify whether the company offers a professional service by looking at reviews online. Past customers are always a good indication of the quality of the company. If a company has bad reviews online, you should think twice about hiring them. You want to pay to hire professional services for power washing. Therefore, you need to make sure the company is using professional standard equipment and materials to carry out the work. If they are using equipment that you can affordably purchase in a store, then they’re probably not a professional power washing company. By following these 6 tips, you can make sure you hire the right power washing company for you. If you’re searching for a power washing company, Pro Wash is the company for you. Contact us today and we’ll remove any streaks or discolorations and get your home looking like brand new again.